One thing I’ve always appreci ated about martial arts culture is the promotion of healthy habits; nutrition, fitness, and personal well being are important things to promote! Over the years, I have received many requests for information concerning health, fitness, and nutrition from students. One of the most common requests I hear relates to people looking to drop a little weight and overall manage their diet more effectively. Since I have a background as a personal trainer and a degree in health and fitness, I really enjoy getting people access to information that is effective and legitimate. There is a ton of information on the web concerning nutrition, which can be both good and bad; oftentimes people get hit with information overload and struggle to find what’s “true” in regards to managing their diet. Also, there is a lot of advice that just doesn’t work for people (like many fad diets) and thus there is a lot of confusion concerning how to lose or gain weight in a healthy and effective manner. The purpose of this 3 part article series is to give you relevant and simple guidelines for weight management. I will be discussing this topic in a manner suited best for the everyday person. This isn’t meant for high level athletes or special populations, as that is a different topic. This article will explain the basics of how food intake impacts weight. The second article will cover some specific diet recommendations including food choice and measurement. Finally, the third article will cover some basic plans that students can implement right away. Diet 101: How does weight work? Your weight is a reflection of three simple factors: Your total amount of lean mass (muscle, bone, organs) combined with adipose (fat tissue) mass and water mass. 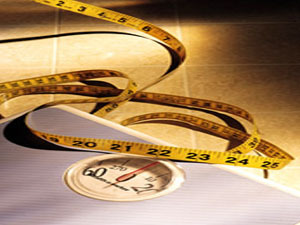 When people are talking about losing weight (cutting), they are typically referring to fat mass. Regarding weight gain, people (men especially) are concerned with adding lean mass (bulking). For the purpose of this article, I wont be discussing water weight, though in the third article I will cover it further. Everyone has something called a basal metabolic rate (BMR) that is a simple number showing how many calories you burn in a day by existing. To maintain bodily functions, your body expends a certain amount of energy every day depending on your weight, age, and height. 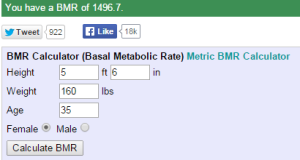 To calculate your BMR, click here. For most people, this falls between 1500-1800 calories a day. You can go further and also modify your BMR to account for activity by taking advantage of the Harris-Benedict equation (click here). Calories are a basic unit of energy. Your weight movement up or down depends on how many calories you consume and how many you expend (net calorie balance). If you calculated your BMR as 1700, and you consume 1700 calories in a day, your weight will remain the same. If you only consumed 1500 calories for the above example, you would have net -200 calories for the day, which will create weight loss; on the other hand, if you ate 1900 calories, you would be net +200 calories, which represents weight gain. To review: Net Calories = Calories in – Calories out! If it is a positive number, you will gain weight, and if it is negative, you will lose weight. Use the BMR calculator I link to above to determine BMR, and then multiply it via the equation linked above to see what you are at now so that you know how much food you need to gain or lose weight per your goals. She doesn’t have a history of working out, so she decides that she is going to start hitting the treadmill at the gym for 45 minutes 3 days a week. She typically burns about 300 calories in her workout, and works up a sweat. Nice going Diane! She is now net -300 calories, which is almost 1/10th of a lb. of fat. Over the week, she does the same workout 3 times, and her cumulative calorie spend is -900 calories. She hasn’t changed her eating habits that week, though she’s making some healthier choices. She gets a call from a co-worker on Friday to go out. Diane decides to reward herself for working out, and goes out to eat at a pizza bar. She only has two slices of pizza beyond her normal diet, which comes in at 450 calories a slice. When she weighs herself on Sunday, she is bummed to see that her exercise hasn’t resulted in any weight loss! This sort of pattern happens frequently and ends up being discouraging! Diane gives up after 30 days of going to the gym since she hasn’t seen weight loss. Some, even many people reading this article have a similar story. It’s difficult because in the end, Diane wasn’t doing anything wrong with the changes she made. Beginning an exercise program would only have helped. The oversight here was the need to use exercise to support her diet, and not the other way around. Let’s look at a happier version of this scenario: It’s a few months later, New Years Day. Diane has decided to make a resolution to lose the weight. She has the same weight and activity level as before. She decides that she is going to focus on a couple of food habits… she tries eliminating extra snacking and sugary drinks. She manages to go a week with a -200 calorie deficit per day. She maintains the same running schedule as before, burning -300 calories per workout. By combining her 900 calorie loss from running with 1400 from dieting alone, Diane is over 2/3 of a pound of weight lost (1 lb. of fat is 3500 calories) with minimal extra effort. Now she is excited when she gets on the scale, and after a few lbs over a few weeks, she decides to take up yoga and (SHAMELESS PLUG) martial arts classes at Discovery. Now her BMR with activity is jacking up higher and higher and she is losing weight even more effectively. Small habit changes to diet (ie. dropping out soda) are a really effective way to chip away at weight. Instead of destroying herself with too much exercise too soon, she accomplishes the same goal with a lot less effort. It is important to remember that exercise does play a role, and another topic is how to use it properly to attain maximum results, be it lifting in the gym, jogging/running, or taking group exercise classes. You read today about the basics of what weight is, how to determine what your calorie intake should be, and how diet and exercise actually interplay when trying to manage weight. Next week we will discuss effective decision making in regard to food choice, and the role of macronutrients (protein, carbs, and fat) in the process of cutting fat or bulking up lean mass.